Available for PRE-ORDER for priority dispatch when stock arrives. ETA Early June. The Aviator ceiling fan is a large ceiling fan with a robust DC motor, excellent high velocity airflow for large areas and is quiet in operation. 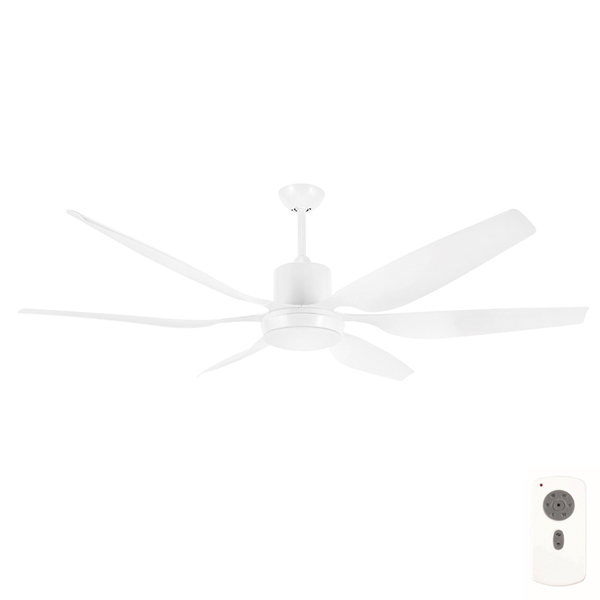 It features 6 durable, ABS plastic blades and a blade span of 66inches (167cm). The Aviator has 6 speed options allowing greater control over the level of airflow preferred and is reversible via the remote control. 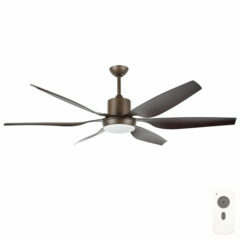 This large ceiling fan is suitable to be installed in indoors. 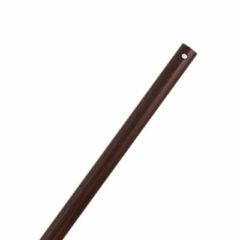 This extension rod will suit the Brilliant Aviator ceiling fan. It can also be used with the Maelstrom fan in white. Looks good and very quiet. Very effective, usually have it on lowest speed as it moves large volumes of air. Performs much like a V8.